Apocalypto is a 2006 American film directed by Mel Gibson. 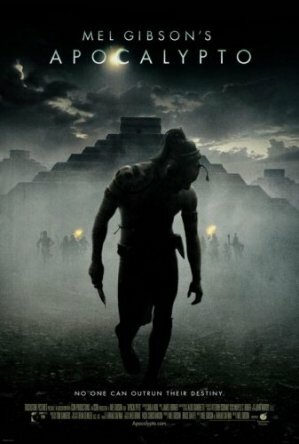 Set in Yucatan, Mexico, during the declining period of the Mayan civilization, Apocalypto depicts the journey of a Mesoamerican tribesman who must escape human sacrifice and rescue his family after the capture and destruction of his village. The film, similar to Cornel Wilde's 1966 The Naked Prey features a cast of Mexicans and some Native Americans, and its Yucatec Maya dialogue is accompanied by subtitles.